Do you want to lure everyone out of bed with the smell of fresh bread? Crispy on the outside and warm and soft inside! The winter is pre-eminently the season to bake the best things yourself. Cozy in your own kitchen, warm your oven well and make the most delicious bread! DeSh~Stoom … Your baking convenience for all days. The perfect gift for the home baker! Steam is essential for baking bread. It’s what gives bread a crispy thin crust because steam delays the formation of the crust. The volume of the dough increases as it rises in the oven, this means that in bread baking, the final burst of rising just after a loaf is put in the oven and before the crust hardens. This is called “ovenspring”. This allows the bread to continue expanding freely. Steam gives bread products a lovely shine and prevents them drying out. Steam also keeps the dough pliable which is what gives bread gets a nice crusty appearance and a crispy crust. Another advantage is that starch heats up faster with steam, so you can shorten the baking process for the best result. There should be no more steam in the oven after 4 -5 minutes. Do you want to give a home baker DeSh~Stoom as a gift and is the purchase above your budget? Order a gift voucher, so that you can surprise someone with an original gift from as little as €10,-. The gift voucher is available in 11 values. This way you will always find a Gift Card for your budget. THE possibility to save for a DeSh~ Stoom. The gift voucher is packed in a beautiful envelope, so that it is a party to get and to give. A personal code is linked to the Gift Card with which the person who receives the Gift Voucher can redeem the value online in our webshop. Many home-bakers don’t have the ability to create steam in their oven or combi-microwave oven. The solution is this easy-to-use steam dish, DeSh~Stoom. Its unique material and design ensure that the bread receives exactly the required amount of steam at the right moment. DeSh~Stoom turns every home oven into a professional oven with steam. Simply preheat the oven that already contains the DeSh~Stoom, pour cold or warm tap water (steam develops faster if the water is warm) into DeSh~Stoom to the top of the upright edge; DeSh~Stoom does the rest. These simple steps ensure that your homemade bread stays crunchy fresh for longer. DeSh~Stoom can be placed at any height in the oven. 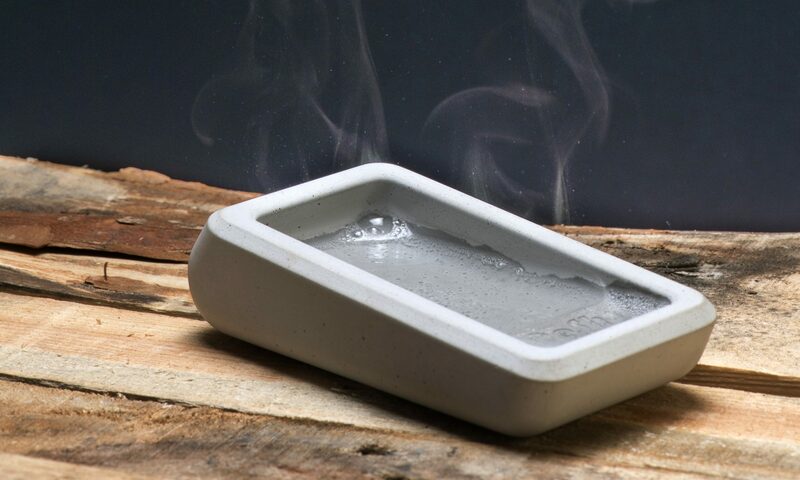 So no more hassle with ice cubes, the well-known oven-proof or glass dish of water (glass can crack) containing pebbles, the well known water sprayer, trays containing lava stones etc. These makeshift solutions may not only damage the oven, with many adverse consequences, they fail by far to produce the desired result. DeSh~Stoom gives the home baker a safe and simple solution that works! Essential for every home baker and for baking prebaked rolls. Also suitable for combination microwaves and barbecues (gas and charcoal). My name is Frank Dellemann. I’m a baker through and through. In 1966 my crib lay above my parent’s bakery so I literally grew up amongst the loaves. Bread is a wonderful product and I am, as the say, fanatic about my profession. Thanks to my many years of experience and knowledge, covering all aspects of the bakery (traditional, industrial and bake off), bread, pastries and much more, I was able in 2015 to start my own company F.D.S. (Frank Dellemann Support). Through this I share my knowledge, passion and enthusiasm about bread making and in doing so inspire others. I am a professional technical advisor (baker), test baker and I offer support to various industrial, traditional and bake off bakeries. I also give training courses, workshops and advice. Quality is of paramount importance to me. In recent years, more and more people are starting to bake their own bread. It is tasty, easy and inexpensive. And nothing can beat the delicious smell of homemade bread wafting through your home. 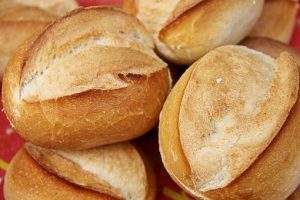 Nevertheless I often get the question from home bakers: How do I make good quality homemade bread that has a crispy, thin crust and is soft and airy inside? It’s the user-friendly steam dish DeSh~Stoom. *Why should I buy a DeSh~Stoom? DeSh~Stoom turns every home oven into a professional oven with steam. Its unique material and design ensure that in a simple way bread gets just the right amount of steam at the right moment. The moisture must be added at the beginning of the baking process, otherwise the bread won’t have a crispy crust. DeSh ~ Steam produces steam after a few seconds. After about 4 to 5 minutes the dish is empty again as all the water has turned to steam. 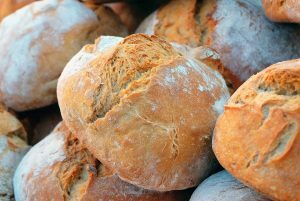 The result is delicious good quality homemade bread with a crispy, thin crust and a soft and airy inside. *Can I get a similar crispy crust by putting a dish of water in the oven or using a water sprayer? No, the well-known, but awkward method of using a heat resistant dish of water doesn’t produce the same result because the water doesn’t evaporate fast enough; the dish cools off too quickly when you pour in the water and so doesn’t produce the right effect. The commonly used water sprayer produces dents in the crust and the crust also becomes hard. Ice cubes evaporate too fast and therefore have no effect. These makeshift solutions may not only damage the oven, with many adverse consequences (warping, rust, dents and cracks in the bottom plate), they fail by far to produce the desired result. When opening the oven door (for example to use the water sprayer) the temperature drops. DeSh~Stoom stays at the right temperature thanks to its unique material and the pre-heating of the oven. *Is DeSh~Stoom safe to use with food? Regulation (EC) No 1935/2004 of 27 October 2004. Yes, when used regularly crumbs and remnants from the products baked can cause staining. These stains cannot be removed from this natural product. They do not affect the result. *Does the steam damage the oven? No, because due to DeSh~Stoom’s unique way of working all the water evaporates. Yes, it is a fire resistant, strong material and is heat resistant up to 1200°C. It can remain in the oven at all times. *What is the best way to fill DeSh~Stoom with water? The easiest way is to use a watering can with a long spout.